If you choose the original brand, the FREE innoviCares card can help you save on select prescription medications. You can use innoviCares with your existing public or private drug plan or on its own. Simply present your card along with a prescription for any of the 100+ medications participating on innoviCares to save money instantly at over 98% of Canadian pharmacies. Already have an innoviCares Client ID? Already have an innoviCares Client ID? Join 1.5 million Canadians already saving and get your card today. 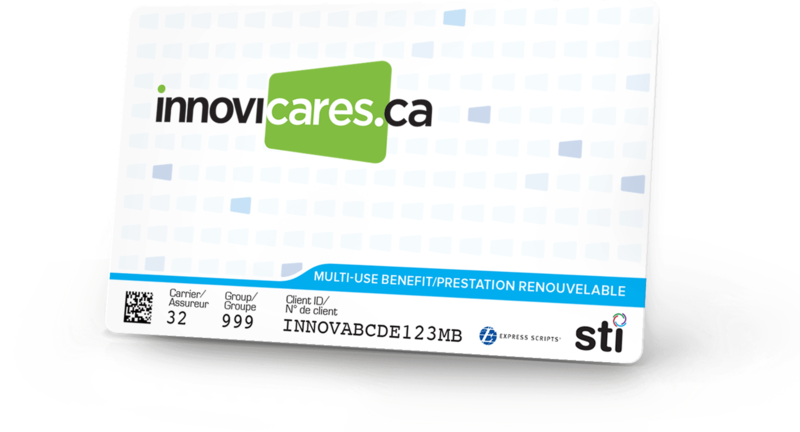 The innoviCares card is a free prescription savings card available to all Canadian residents, and is funded by participating pharmaceutical manufacturers. Present your innoviCares card at your pharmacy and ask for the brand-name medication. Your card will automatically cover a portion of the cost of the original brand. Your innoviCares card will coordinate with your existing insurance plan(s), or if you don't have insurance, it can be used on its own. You can easily download a card to get started today. Simply click the Get a Card button and receive your unique innoviCares card. Complete the steps to set up your online profile. Your card will always belong to you and won’t expire. There are no additional forms to fill out or waiting periods for coverage – you can print and use your card immediately. Take your card to pharmacy. Present your innoviCares card along with a prescription and ask for the original brand-name medication. The pharmacy will process your card just like any other drug card. Your card will automatically cover a portion of participating brands. Log in and get more. 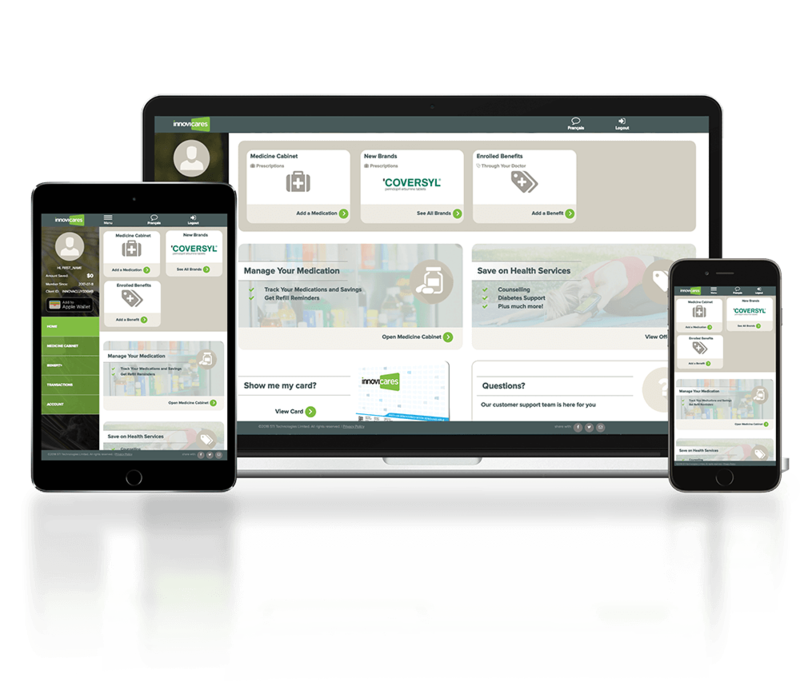 From your innoviCares profile, you can track your savings, set refill reminders, and manage your medications. To see a full list of products covered where you live, simply select your province from the dropdown menu below. Get reimbursed immediately when you fill your prescription at a participating pharmacy. Submit your receipt for a participating innoviCares medication online and get reimbursed by cheque or electronic transfer. Find a pharmacy. Enter your location to view the nearest innoviCares pharmacies who can serve you best. We are pleased to work alongside many Canadian associations and charitable organizations committed to improving health outcomes and supporting patients' rights. Stay up-to-date with our latest news and information on how you can use innoviCares to save on prescriptions and better manage your healthcare.